Golf Fore Autism's Comedy Night Fundraiser was a night of fun and laughter as friends gathered to support the cause at the Comedy Cabaret at Casa Carrollo's in Marlton, NJ. The fundraiser event raised $745.00 in support of our Autism and Special Needs Classrooms in Evesham Township. Thank you to everyone who attended the event and for their generous support! Jaggard School donates their Friday Pretzel Sale proceeds to Golf Fore Autism. Thanks to all the students at Jaggard for their generous support and donating $60.00 from the event. 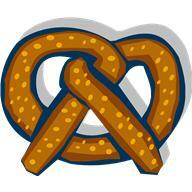 Rice School donates their Pretzel Sale proceeds to Golf Fore Autism in support of Autism Awareness month. Thanks to all the students and faculty at Rice for their generous support and donating $465.00 from the event. Jaggard School's 6th Annual Night Out for Autism hosted by Erica Moon and Team Jaggard benefited both Autism Speaks and Golf Fore Autism. The event was a huge success with dinner, dancing, 50 /50, and a Chinese Basket Auction. Team Jaggard donated $2,000 to Golf Fore Autism to benefit the autism and special needs classrooms in Evesham Township! Marlton Middle School Puts "Hats On for Autism"
Marlton Middle School's Students and Faculty donated a total of $190.00 to Golf Fore Autism during their first annual "Hats On for Autism" School Event! Students and Faculty donated a dollar to wear a hat of their choice, today April 8th, in support of Autism Awareness month. Thank you to Marlton Middle School's, Parents, Students and Faculty for their generous support! Jaggard School's Students and Faculty donated a total of $108.00 to Golf Fore Autism during their first annual "Hats On for Autism" School Event! Students and Faculty donated a dollar to wear a hat of their choice, today April 4th, in support of Autism Awareness month. Thank you to Jaggard School's, Parents, Students and Faculty for their generous support! Rice School Puts "Hats On for Autism"
Rice School's Students and Faculty donated a total of $335.00 to Golf Fore Autism during their first annual "Hats On for Autism" School Event! Students and Faculty donated a dollar to wear a hat of their choice, today April 4th, in support of Autism Awareness month. Thank you to Rice School's, Parents, Students and Faculty for their generous support! 10 Things Autism Parents Wish You KnewTuesday, April 1, 2014	94 Comments	Kristi Campbell is a semi-lapsed career woman with about 18 years of marketing experience in a variety of national and global technology companies. While she does work part-time, her passion is writing and drawing stupid-looking pictures for her blog Finding Ninee, focused on finding humor and support for her special needs son. Why: Each April 2nd, Golf Fore Autism celebrates Light It Up Blue, along with the international autism community, in commemoration of the United Nations-sanctioned World Autism Awareness Day. Light It Up Blue is a unique global initiative that kicks-off Autism Awareness Month and helps raise awareness about autism. In honor of this historic day, many iconic landmarks, hotels, sporting venues, concert halls, museums, bridges and retail stores are among the hundreds of thousands of homes and communities that take part to Light It Up Blue.